The former Archbishop of Canterbury may not agree with professional atheist Richard Dawkins on much, but they align in their opposition to allowing Catholic schools to expand in the UK. 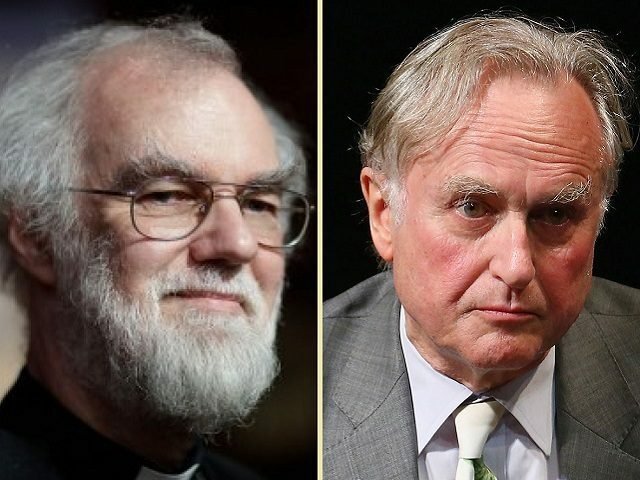 Dr. Rowan Williams and Richard Dawkins were two of a list of co-signers of a March 6 letter expressing strenuous opposition to removing a legislative cap that prevents Catholic and other religious schools from accepting more than 50 percent of the student body from within their own faith tradition. The Catholic Bishops of England and Wales have registered their displeasure with the law, which they claim unfairly targets Catholic schools. In November 2017, the Catholic bishops initiated a petition drive, urging the Conservative government to make good on its campaign promise to remove the cap while noting that the Secretary of State has acknowledged that the rule “adversely affects Catholic families.” In its election manifesto, the Party had called the regulation “unfair and ineffective” and recognized that it kept the Catholic Church from opening new schools. “By forcing Catholic schools to turn away Catholic school children on the basis of their faith, the very principle of a Catholic parent’s right to choose a Catholic education is under threat,” the bishops said in their petition. Demand for Catholic schools remains very high, and in December 2016, the Diocese of East Anglia said it would open eight new Catholic schools once the cap was lifted. “Isn’t it always a form of child abuse to label children as possessors of beliefs that they are too young to have thought about?” Dawkins asked rhetorically in his 2006 bestseller The God Delusion. The letter to the Telegraph could have been lifted directly from the same book. “It is difficult to bring to mind a more divisive policy, or one more deleterious to social cohesion and respect, than one that allows schools to label children at the start of their lives with certain beliefs and then divide them up on that basis,” it reads. For his part, Pullman has never concealed his disdain for the Catholic Church, or for Christianity more broadly. The question is not why professional God-slayers are attacking the Catholic Church, but rather why the former Anglican Archbishop would join forces with them in this crusade.